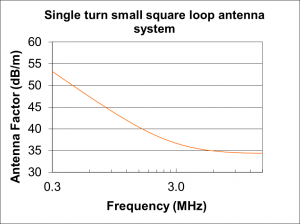 This article describes a method of performing near-field field strength measurements using a portable RF power meter (RFPM1) and a small untuned square loop. 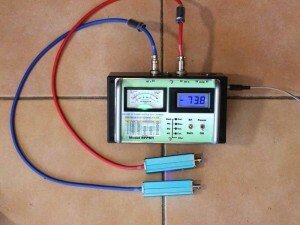 VK3AQZ RF power meter (RFPM1) described my build and calibration of the RFPM1. Above is the RFPM1, shown with two probes, but only one probe is required for this procedure, the other is disconnected. The RFPM1 directly reads input power in dBm. 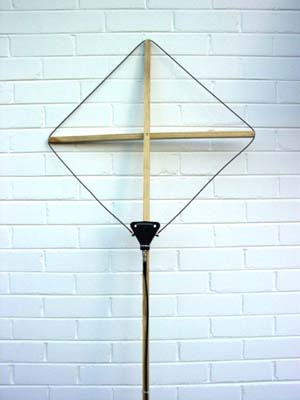 The loop antenna used was described at (Duffy 2007). It is a small square loop (600mm sides) fed in one corner with a 1:1 voltage balun. The important calibration constant is the Antenna Factor (AF) which is the ratio of the electric field strength to the voltage developed at the antenna terminals (loaded with 50+j0Ω). Above is the calibration curve for the measurement loop. Above, the result of spot frequency calculation using Calculate small loop Antenna Factor. So, in this case if the power meter indicates -40.0dBm, the field strength is -40.0-13.0+34.6+120=101.6dBµV/m. 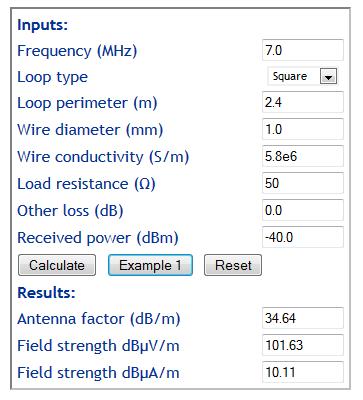 For this antenna at 7.0MHz, field strength in dBµV/m is simply 141.6dB higher than shown on the RFPM1 meter (as shown in the Calculate small loop Antenna Factor results. 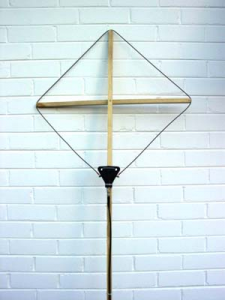 It is possible to make reasonably accurate measurement of near-field strength using relatively simple equipment. The sensitivity and direct dBm reading of the RFPM1 makes it very convenient as addition of a single factor converts dBm power readings into dBµV/m field strength. Duffy, O. Sep 2006. Small square un-tuned loop for field strength measurement – NEC models. VK1OD.net (offline). ———. Jun 2007. 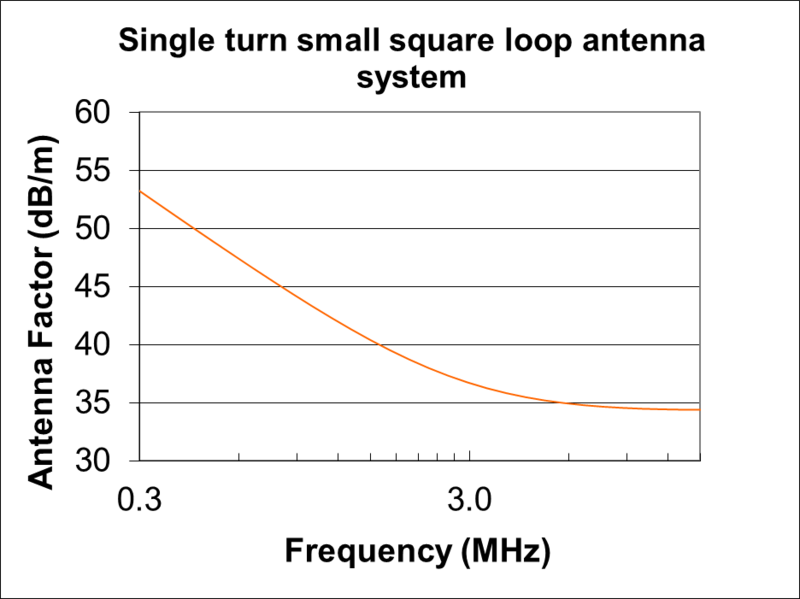 Small un-tuned single turn square loop for field strength measurements. VK1OD.net (offline). VK3AQZ RF Power Meter kit (RFPM1).